Spatial planning, strongly advocated by government and the profession, is intended to be more holistic, more strategic, more inclusive, more integrative and more attuned to sustainable development than previous approaches. In what the authors refer to as the New Spatial Planning, there is a fairly rapidly evolving maturity and sophistication in how strategies are developed and produced. 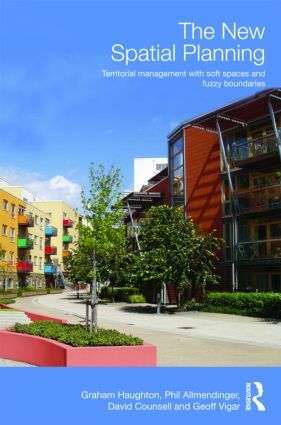 Crucially, the authors argue that the reworked boundaries of spatial planning means that to understand it we need to look as much outside the formal system of practices of ‘planning’ as within it. Using a rich empirical resource base, this book takes a critical look at recent practices to see whether the new spatial planning is having the kinds of impacts its advocates would wish. Contributing to theoretical debates in planning, state restructuring and governance, it also outlines and critiques the contemporary practice of spatial planning. This book will have a place on the shelves of researchers and students interested in urban/regional studies, politics and planning studies.